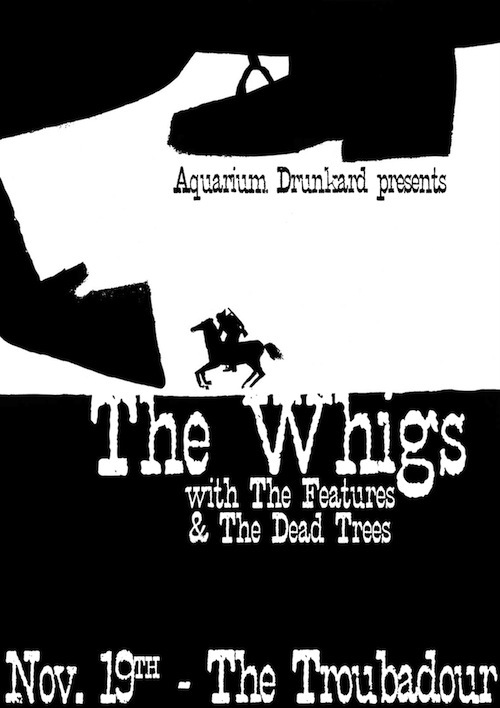 Thursday night Aquarium Drunkard presents The Whigs with the Features and Dead Trees at the Troubadour. We have several pairs of tickets to giveaway to AD readers. Interested? Leave your name and a valid email address we can reach you at below in the comments. Winners notified prior to show; tickets at will-call. I am so excited about the Whigs coming to Los Angeles. This band has major “buzz” around it. who doesn’t want to spend an evening with AD at the troub?! Would love to come to the show, compliments of my favorite music blog! !